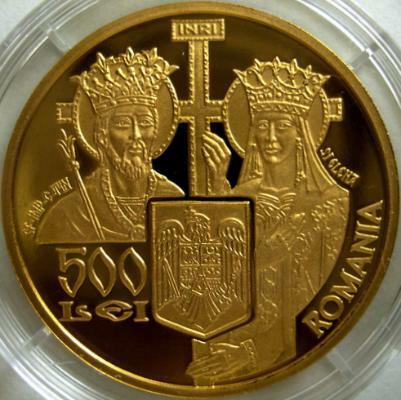 The 500 lei 2006 gold coin (350 Years from the Foundation of the Patriarchal Cathedral) pictures above are present on the site through the kind permission of Mr. Radu Lissner. 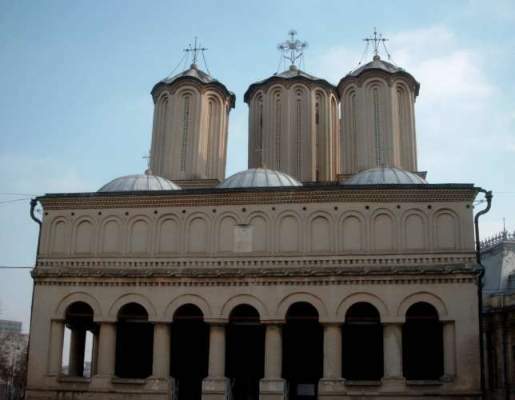 The construction of the Patriarchal Cathedral started in 1656, founder being Constantin Şerban, ruler of Walachia between 1654 and 1658. The church is located on the "vineyard farmers' hill", having been finished in 1668, under the prince Radu Leon (1664-1669). 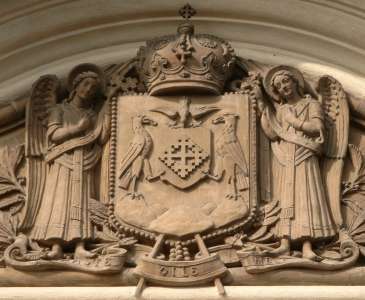 The patron saints of the church are Saint Constantine and Saint Helene. The iconostasis or rood screen is a wall that separates the altar and the chancel from the church nave. 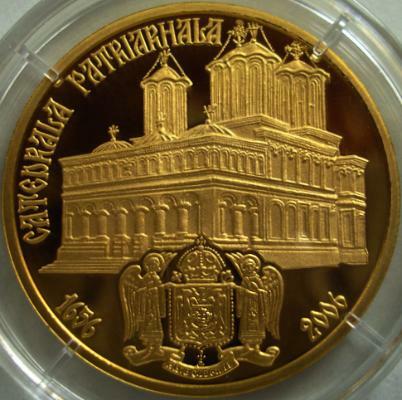 The Patriarchal Cathedral is also represented on a 200 lei gold coin issued in 2010. 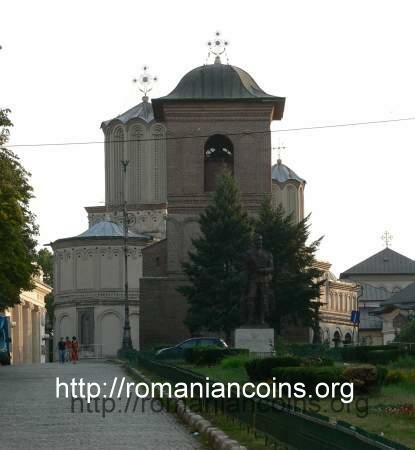 After the Great Recomplition War waged between 1916 and 1919 and after the realization of the Great Romania in 1918 the logical unification of the Romanian Church was to follow shortly. 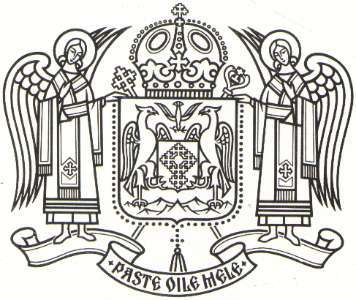 In 1925 the Holy Synod decided the creation of the Romanian Patriarchy, the primate metropolitan having been therefore promoted as patriarch. 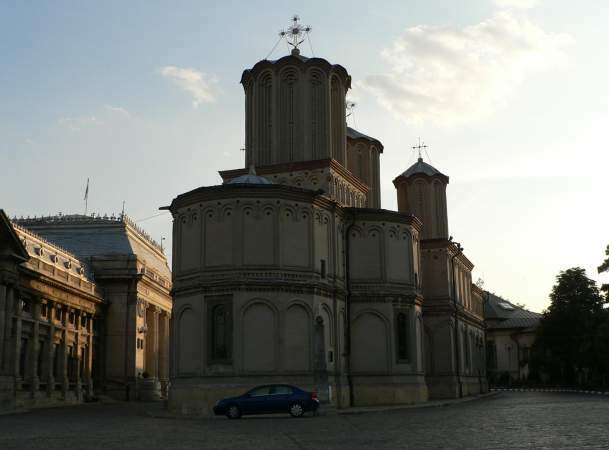 The first patriarch of the Romanian Orthodox Church was the Transylvanian Miron Cristea. He was followed at the Patriarchal See by Nicodim Munteanu (1939-1948), Iustinian Marina (1948-1977), Iustin Moisescu (1977-1986) and Teoctist Arăpaşu (1986-2007) and Daniel Ciobotea (from 2007). 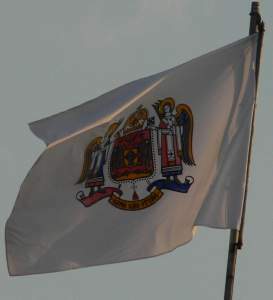 The first five patriarchs were represented on a five silver coin set issued in 2010. Constantinus I (Flavius Valerius Constantinus) was the son of Constantius Chlorus and of Flavia Iulia Helena (Saint Helene). He ruled between 306 and 337. 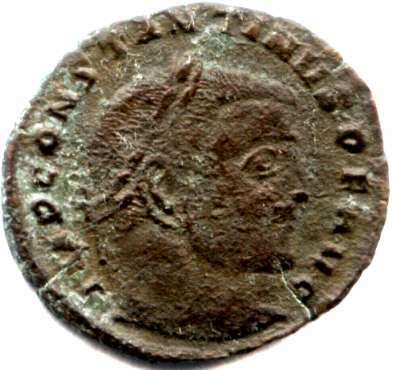 In 313 he granted, together with Licinius I (also a Roman emperor, that ruled between 308 and 324) through the Edict of Milan (Mediolanum) the religious tolerance to all religions in the Roman Empire, including the Christian faith. He founded Constantinople and moved there, in 330, the capital of the empire.